Male RJ21 Telco Cable CAT.3 90 a24 RJ45 connected in pairs. 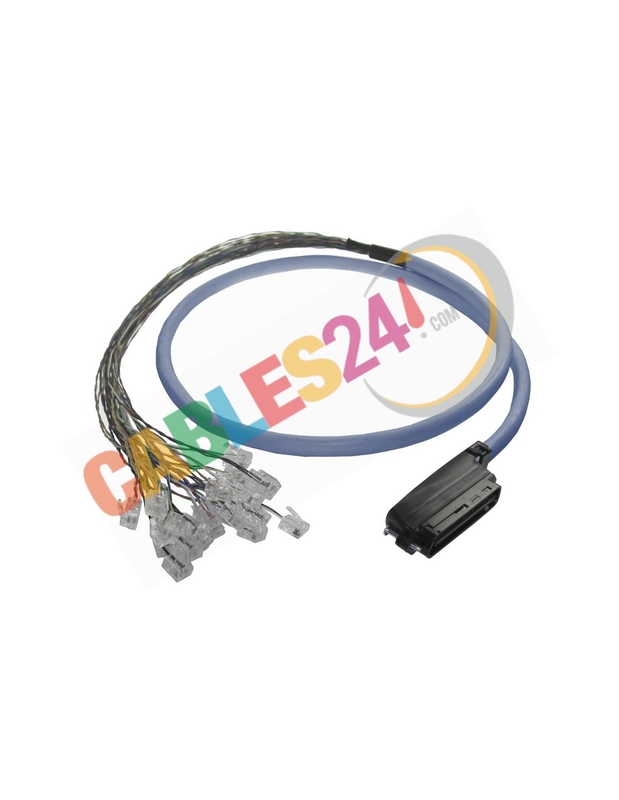 A telco cable, also known as a Telecom cable or Amphenol cable, is a thick cable used for connecting multiple voice or data lines for LANs or telecommunications. The ends use 25 pairs of polarized pins (50 pins total). This cable handles up to 25 data channels or phone lines. The name Amphenol comes from the company that first manufactured it. Most phone systems use this type of cable. The common color is gray and made of polyvinyl chloride (PVC). Most manufactures have standardized on this color for this material. Another standardized color is white, usually associated with plenum cable. Plenum cable is cable used in plenum spaces of buildings. The plenum is the space used for air circulation for heating and air conditioning systems, by providing a location for ductwork. Space between the structural ceiling and the dropped ceiling or under a raised floor is typically considered plenum. Some drop ceiling designs create a tight seal that does not allow for airflow and therefore may not be considered a plenum air-handling space. The telco cable is also associated with pre-wired 66 blocks pre-assembled with an RJ-21 female connector are available that accept a quick connection to a 25-pair cable with a male end. These connections are typically made between the block and the CPE (customer premises equipment). 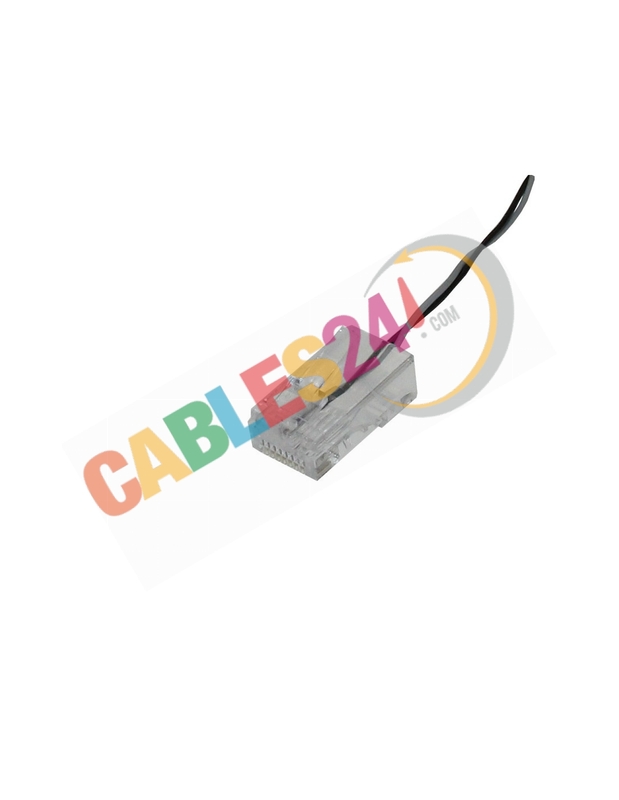 RJ21 is a registered standard RJ family, works with a modular connector can be used up to 50 drivers, is usually used to implement a connection of 25 lines (or less) as it is used in the model of phone system called 1A2 key. It is also known as the telecommunications connector 50-pin. Sometimes dual RJ21 blocks are used to strike out and make a phone booth for PBX and other telephone systems. 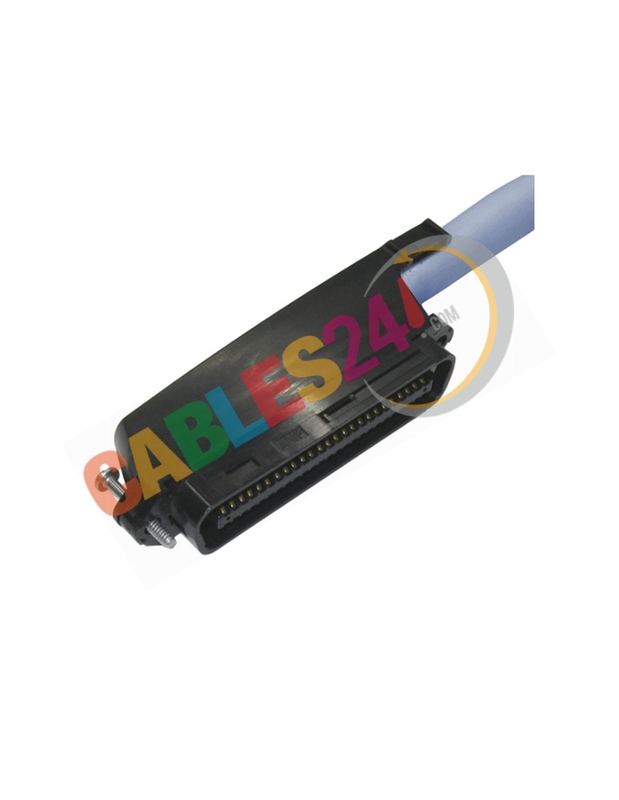 The RJ21 connectors are used to connect Ethernet ports massively from a switch with RJ21 ports to a patch panel UTP cable category 5 or connection between two panels. 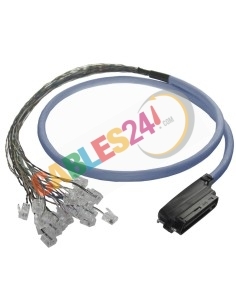 A cable with an RJ21 connector can support 6 modular connectors 8P8C to its maximum capacity of drivers. RJ-45 is a physical interface commonly used to connect computer networks with structured cabling (categories 4, 5, 5e, 6 and 6a). It has eight pins or electrical connections, which are normally used as ends of twisted pair (UTP). It is part of the Federal Code of Regulations United States. It is commonly used standards such as TIA / EIA-568-B, which defines the layout of the pins (pinout) or wiring pinout. A common application is their use in Ethernet network cables where they usually four pairs (eight pins) used. Other applications include completions of telephones (two pairs), for example in France and Germany, and other network services such as ISDN, T1 and even RS-232.